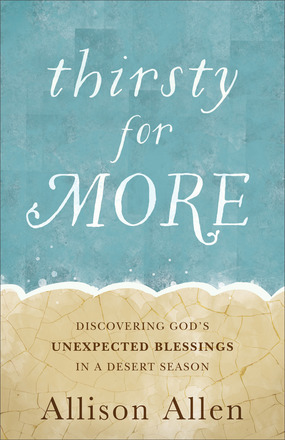 As soon as I saw the title of the book, and then underneath it, “Discovering God’s unexpected blessings in a desert season”, I knew I wanted to read Thirsty for More. Even though I’m not going through the desert right now, I know I will again in the future, and I want to be prepared. Not to mention, I know plenty of people who are currently hanging out in the desert, and so I wanted to be able to help them. Author Allison Allen opens by introducing the desert fathers and mothers, a group of early Christians who moved to the desert in order to draw nearer to God. She then goes into her own season of life when God drew her into the desert in order to teach her and grow her. 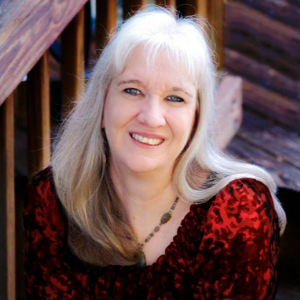 The book is full of historical stories, personal stories, and sage advice. I’ve always appreciated the seasons of our lives and how God uses the low times to prepare us for the high times, but this book literally opened my eyes to an even deeper understanding of how He does that and how we can make the most of those times. Whatever season you’re in, this book will provide a new perspective on how important it is for us to spend time in the desert with God. Disclaimer: I received a complimentary copy of Thirsty for More as part of the Revell Reads program. All opinions expressed are my own.